Couture Bridal Photography offers the best Destination Wedding Photography for couples having a Puerto Rico Destination Wedding! Most people throughout the United States are only familiar with San Juan and Old San Juan Puerto Rico. San Juan Puerto Rico is where most flights into the island arrive at Luis Muñoz Marín International Airport and the cruise port is located in Old San Juan on Calle Marina. What most people don't realize is that Puerto Rico is so much more and there's a lot to see and do on this beautiful Caribbean Island, that is a Commonwealth of the United States. Puerto Rico is an Archipelago consisting of Mona, Culebra, Vieques and the main island Puerto Rico. Puerto Rico's Capital is San Juan with Ponce being the islands largest city on the South Side of the island. Puerto Rico is approximately 110 miles long from East to west and 40 miles from north to South. Puerto Rico is one of the top Caribbean Islands for Destination Weddings. Puerto Rico's blue water and white sand beaches, as well as Puerto Rico's historical landmarks makes Puerto Rico a prime destination for americans. Americans visiting Puerto Rico and Puerto Ricans do not require passports to travel to and from which is an attractive option for many. Puerto Rico has a very diverse geography consisting of mountains, plains, arid and the only American rainforest. Puerto Rico is known for its amazing coastline. Some of the most amazing Destination Wedding images can be taken anywhere along the coastline with amazing blue seas and mountainous backgrounds. Puerto Rico is also a vacationers paradise with Hotels, Resorts, Villas and private homes for rent throughout the islands many coastal towns, Cities and interior barrios. In this article I will provide information on some of the best Destination Wedding locations associated with well known towns or suggestions on amazing, yet less known locations for a romantic Puerto Rico Destination Wedding. San Juan which is comprised of 18 districts along the north central side of the island is Puerto Rico's most populated area and home to some of the most amazing Hotels, resorts, restaurants and historical buildings in the Caribbean. Most Couples planning destination Weddings in San Juan select hotels and resorts along the coast. San Juan offers the most convenient location for Puerto Rico Destination Weddings with its easy access to the airport and cruise port, which provides for an optional honeymoon cruise or getaway to the caribbean if you choose to not stay and explore Puerto Rico. Moving West the next area west of Puerto Rico for Destination Weddings would be Dorado Puerto Rico with the Islands only 5 diamond Resort. Dorado Puerto Rico is a short drive west of San Juan and is a quaint Puerto Rican town with great restaurants and amazing beachfront. My Personal favorite side of Puerto Rico to visit and for Destination Wedding Photography assignments is the Northwest and West Coast of Puerto Rico stretching from Isabela to Cabo Rojo on the Southwest Coast of Puerto Rico. To me this is the most picturesque and most romantic side of the island. the West coast of Puerto Rico is beautiful with its rocky shore line and some amazing views. I also find the beaches along the West Coast of Puerto Rico the most beautiful throughout the island. These are just some of the hotels, resorts and venues where People can host a really affordable, yet beautiful Puerto Rico Destination Wedding on the West Coast. I will follow up with some historical locations throughout the Island for some additional options or ideas for a romantic Puerto Rico Destination Wedding for just about any budget. The Southern Coast of Puerto Rico is a special place for me. I spent many summers as a child in Ponce Puerto Rico we're I would stay with my grand parents, aunts, uncles and cousins yearly. Ponce is Puerto Rico's largest city. It is a charming city with historical significance and a soul all it's own. Here are a few beautiful places in Ponce Puerto Rico for an incredible Puerto Rican Destination Wedding. Ponce Puerto Rico is located on the South side of Puerto Rico. Ponce Puerto Rico is also the largest municipality within Puerto Rico and has a rich history. Ponce Puerto Rico is where my family is from and I visit the area often. Ponce Puerto Rico offers some very beautiful Wedding venues and locations for amazing bridal portraits. Castillo Serralles is a historical castle located in the hills overlooking Ponce Puerto Rico and the Caribbean Sea. This architectural wonder was the residence of the Serralles family, owners of Don Q rum. Now a museum, El Castillo Serralles is a very popular and sought after wedding venue. The castle is surrounded by beautiful gardens and an incredible view. Ponce is also home to the Ponce Hilton Golf and Casino Resort located minutes from the Caribbean Sea. It is a very popular Wedding venue and provides amazing accommodations and quick access to a variety of photographic opportunities both on location and a short distance away for artistic wedding photo portraits. The Ponce Plaza Hotel and Casino is a historic hotel located in the historic area in the center of San Juan. The architecture and ambiance are perfect for an elegant high end formal wedding with historical gardens and buildings across the street in the park. Your guests will enjoy the close proximity to shopping, historic museums and amazing restaurants while there. Close by is Guanica which is the location of Copamarina Hotel and Resort, which is beyond magnificent for a Southern Puerto Rico Destination Wedding. The Copamarina is among the top Destination Wedding venues in Puerto Rico. It is located on the coast of the caribbean ocean and provides spectacular amenities, accommodations and cuisine. 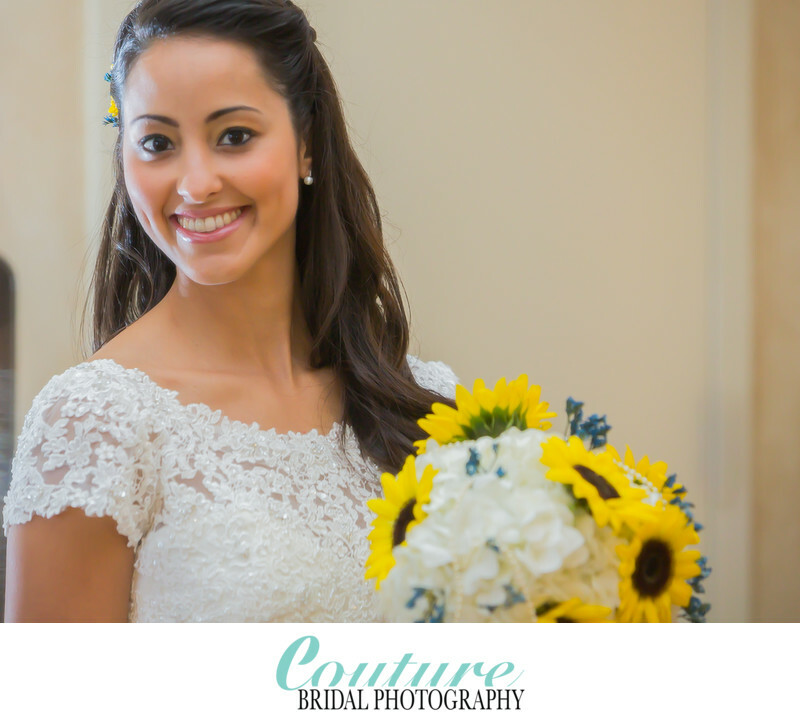 Couture Bridal Photography is known as the most sought after Boutique Luxury Wedding Photography studio in the Caribbean and United States. Couples Planning their Destination Weddings in San Juan, Rincon, Ponce, Rio Grande, Fajardo, Dorado, Aguadilla, Mayaguez and Guanica choose us as the most preferred Destination Wedding Photography studio in Puerto Rico, vieques and Culebra. Couture Bridal Photography is the preferred, highlighted and most recommended Destination Wedding Photography studio at La Concha, Marriott Stellaris, El San Juan Hotel, El Convento, Rincon Beach Resort, CopaMarina, El Conquistador, Vanderbilt Condado and many more throughout Puerto Rico and the Caribbean.